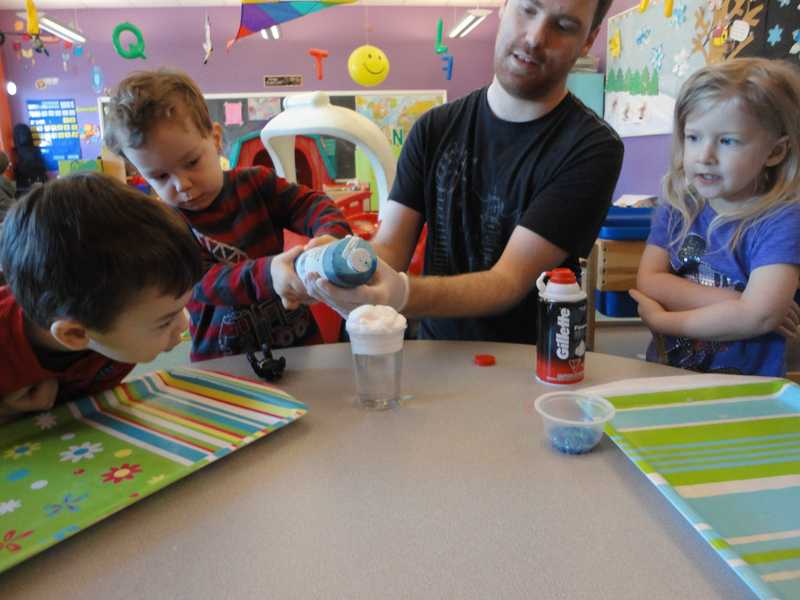 Our Part-Time/Casual Preschool Program welcomes children aged 2.5 to 5 years, with a maximum group size of 16 children. Spaces are available for children age 18 months through 5 years in the Part-time/Casual Program starting September. Call 613-728-1839, ext 247 to register. 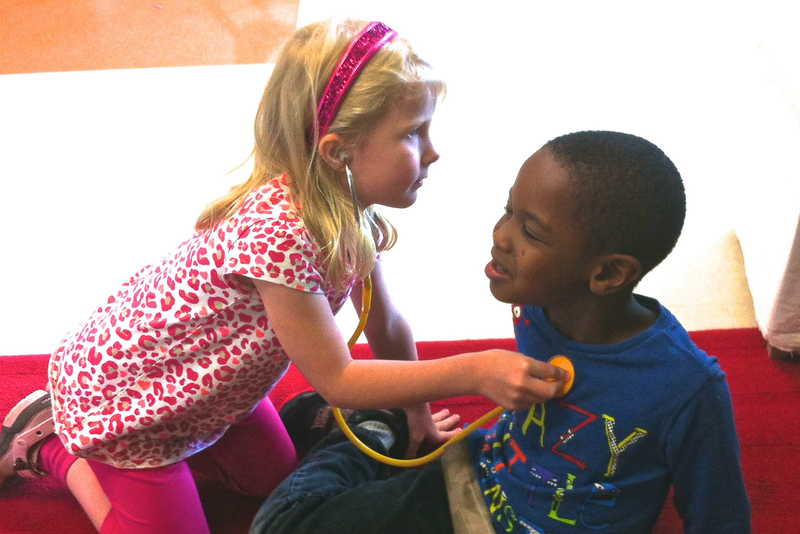 In our program we strive to understand and support learning in each child as an individual. 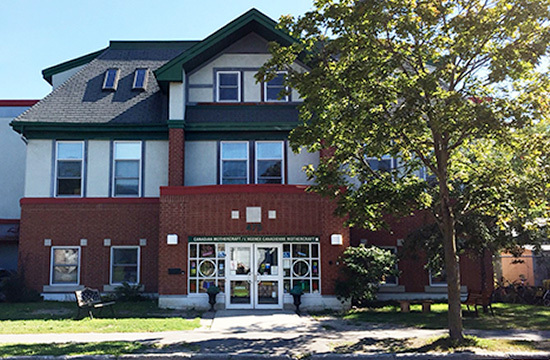 Our Part Time Preschool Program is structured with snack, lunch, nap and outdoor play times. Parents provide lunch and afternoon snack where applicable and Mothercraft Ottawa provides the morning snack. All the children follow the same daily schedule. Most of our children have regular days and times from week to week while other children use the program on a more casual, as needed basis. One part-time and three two full-time Educators facilitate the program maintaining Ministry requirements and building on what is interesting and exciting to the children as inspiration for learning activities. 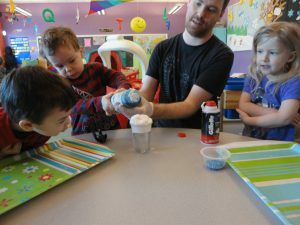 Our daily activities are designed to develop language, fine motor, gross motor, cognitive, and social skills of the children. Play is the most important way that young children learn. We believe that children learn through play so we have designed a program to make their learning fun! Through play the children challenge themselves. Play is the way in which they learn to deal with tension, stress and to try new things. Through play children tell the stories of their lives. Our Educators watch and listen carefully to unlock the meaning of this play, helping children to strengthen their language, fine motor, gross motor, cognitive, and social skills. include things such as collage, painting with variety of mediums and tools, a variety of modelling clays. We focus on the process, not the product. is enjoyed by all the children in the program. They are using this time to explore their senses and often a love of getting messy. help us start to develop our problem solving skills such as how does the puzzle go together, and to learn new concepts including colours, shapes etc. give us a sense of how our bodies work. We can jump, run, crawl, climb, twirl, skip. 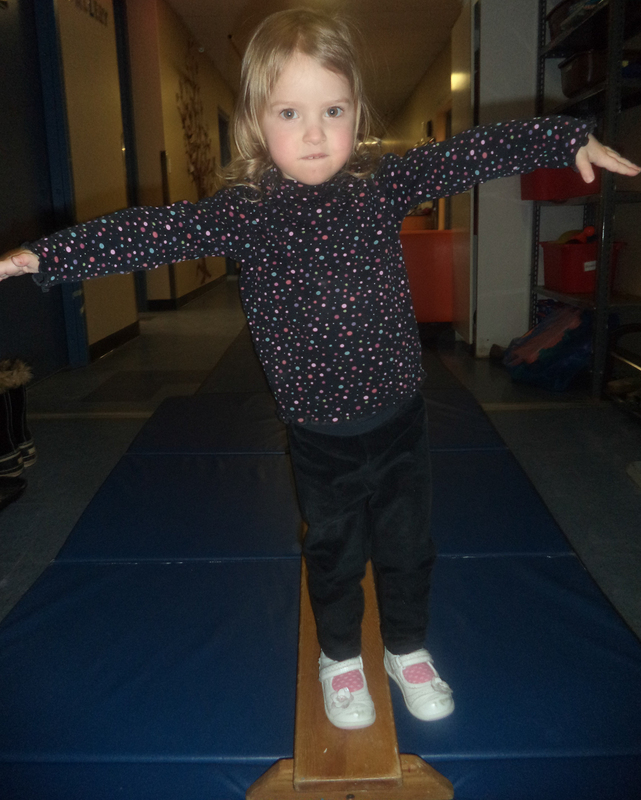 With active play and physical exploration we are gaining self-control and coordination. Our curriculum is emergent based and captures the interests of the children. We are guided by the Ministry of Education early learning framework ELECT (Early Learning for Every Child Today) to help ensure we meet their developmental needs. 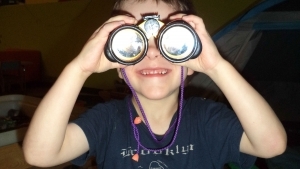 How Does learning Happen – Ontario’s Pedagogy for the Early Years guides our approach to learning as we support and build on the children’s discoveries as they play. Mothercraft provides nutritional, delicious morning snacks. The children are required to bring a nutritious lunch and afternoon snack from home. We are a nut-free centre, which includes any food and beverages with labels that read, “May contain traces of nuts/tree nuts” and/or “made in a factory that processes nuts”. We ask that you help us to keep the children safe as we have children who are severely allergic to nuts/tree nuts. If we have any doubt that something may contain nuts we will not serve it at daycare. Please be sure to label everything in your child’s lunch box with their name. Drinks need to be inside your lunch container. Foods that need to be kept cold or hot can be packed into a thermos to keep the food at a safe temperature. Cold foods can also be stored with an ice pack or frozen juice box. The Public Health Department expects that parents will have an ice pack in their child’s lunch bag for the travel time from home to daycare. Think food groups. Aim to have at least three of the four food groups represented in your child’s lunch. 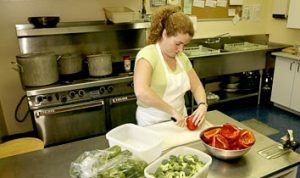 Check out Canada’s Food Guide for helpful information. Think outside the sandwich! Get creative when choosing items for your child’s lunch. Sometimes changing something as simple as the type of grain. For example, using pita, flatbread, tortilla, or cereal instead of bread can make lunch more interesting for your little eater. Here are some ideas to get you started. Mix and match the options in the different columns to get a variety of lunch meals. We offer all the children a change to rest their bodies after a busy morning at play. In our sleep room we play CD stories for the children to listen to while they rest. 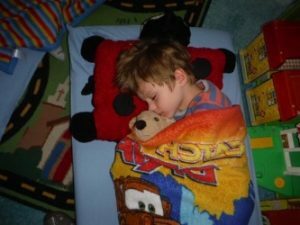 We have blankets and sleep toys available, but your child can also bring their own from home. We provide flashlights, lanterns and books for those children that do not fall asleep but wish to remain in the quiet sleep room. There is always an Educator in the sleep room with the children. Children who are not asleep after an hour of resting quietly on their beds may join our Wakers’ Program. 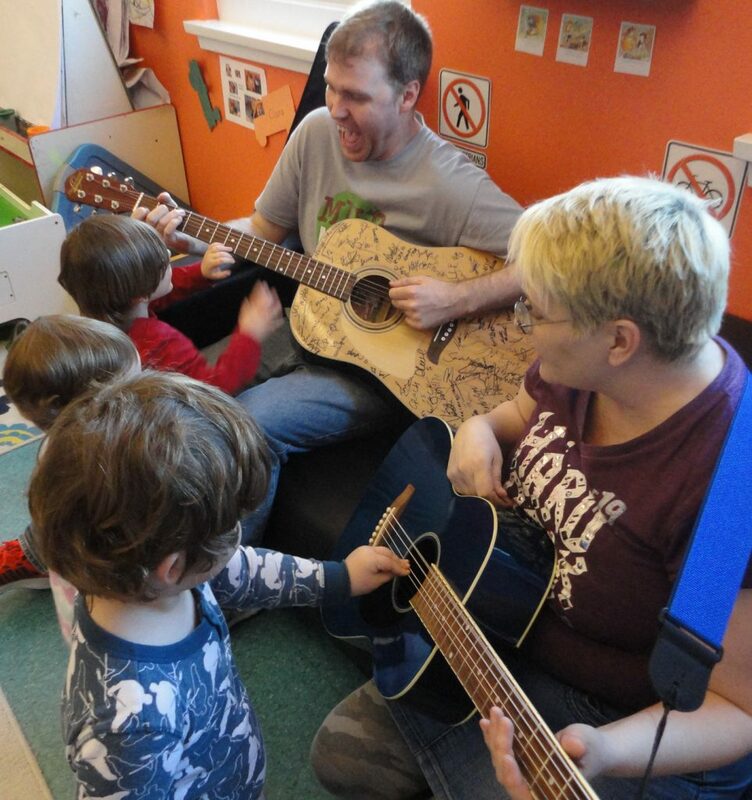 In the Wakers’ Program your child enjoys playing with a smaller group of children. If your child is in our program for less than 6 hours and does not need to sleep, they will be in the Wakers’ Program for the full 2 hours. The Wakers’ Program includes quieter art activities, puzzles, dress-up, building structures, printing, cutting, etc. The children help determine what activities are going to happen. We go outside twice a day, all year long, so please make sure the children have the clothes they need to be able to enjoy the great outdoors. Every child will have a cubby in which to hang their outdoor clothes and their backpack. Their backpack should include at least one full change of clothes (socks, underwear, pants, and shirt). Bathroom accidents occur when your child is busy playing or when he/she is learning to use the toilet. Diapers and wipes can also be stored in their bag or their cubby. If your child is still wearing diapers please supply a minimum of 3 per day. Leave the supplies in the cubbies and we will gather them as required throughout the day. We also have messy play activities and water play. All of these things often require a change of clothes. We are excited to have you and your child in our program. We are here to answer any of your questions and to share information with you about your child’s day. There is an information board outside our door where you can read about our daily activities, special events, and the supply Educators who might be working with us that day. Please make sure you have I.D every time you pick up your child in case there is a supply teacher working so they can verify your information.